Proposed to go – 6 healthy trees, the central ‘walkwise’ path linking Marrickville & Tempe to schools, pool & Railway Station, the lighting along this path & the entrance to Mackey Park opposite Tempe Railway Station to be closed off. OUTCOME: 17th November – the tree is to be cut down. 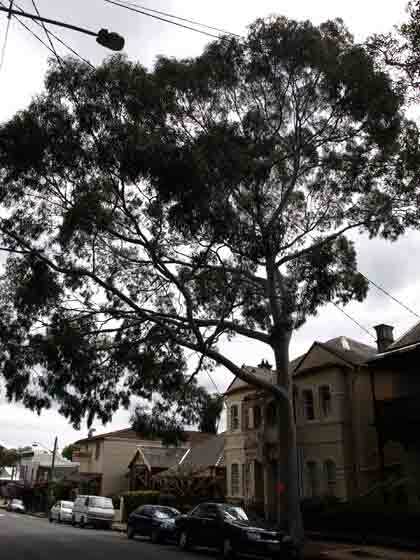 8th December 09 – A motion put to Council by Marrickville Greens to explore other options to save the tree was defeated. The tree will be cut down. 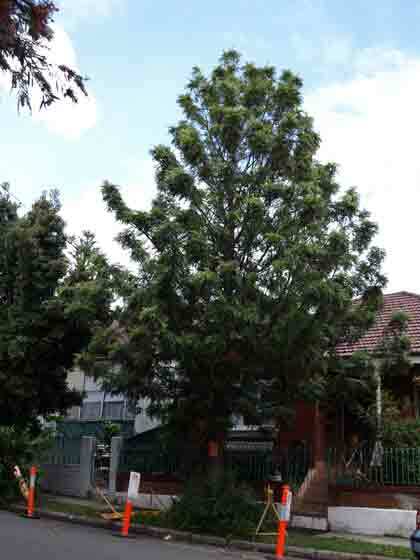 Rare Silky Oak which provides prolific flowers for nectar-feeding birds. Residents say it is causing damage. The trunk measures 1.07 metres & equates to approx 64.46 kg CO2 storage per year. The tree is very healthy. OUTCOME: 16th December 09 – this tree will be monitored for a while & the adjacent house will also be monitored for further damage.